As the fastest growing ink segment in the digital printing market, UV curable inks offer plenty of benefits to a variety of substrates. Our signature Ultra UV curable inks offer instant curing, high print quality, adhesion, scratch resistance, light fastness, color density, no volatile organic compounds (VOCs), and more. UV curable inks offer quality color versatility that is unrivaled by most inks. 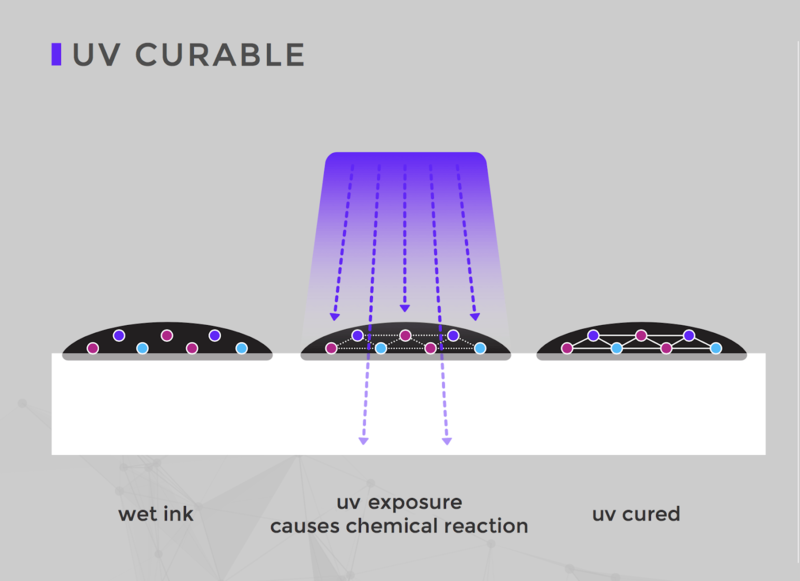 If one of our standard UV curable inks doesn’t provide the performance characteristics or requirements that you’re seeking, we can create custom solutions that are formulated to specifically meet the needs of your substrate. Interested in our UV curable inkjet inks? Our expert team will be happy to help you.